Star Indian all-rounder Harmanpreet Kaur will not participate in the upcoming Women's Super League in England because of a shoulder injury. Harmanpreet was set to represent the Surrey Stars in the league. However, because of the shoulder injury sustained in the latter stages of the recently-concluded ICC Women's World Cup, she has been advised a month's rest followed by rehabilitation. As per ESPNcricinfo, upon her return to India last week, she went through an MRI scan which confirmed a tear in her left shoulder. Harmanpreet was the first Indian to be picked up for the Women's Big Bash League. And she was the second-highest run-getter for Sydney Thunder in her maiden stint at the Women's Big Bash in December-January. 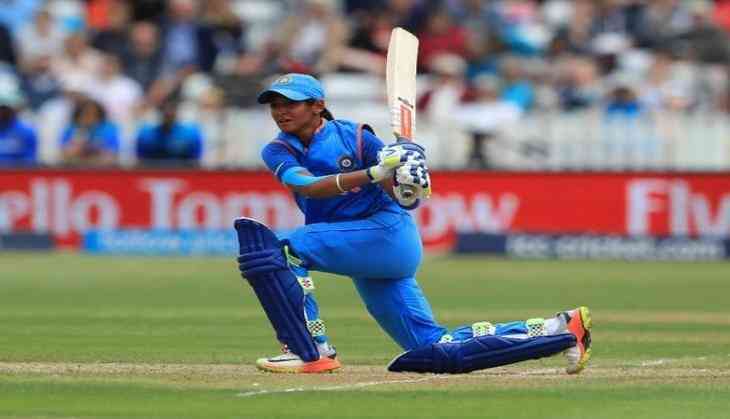 The star all-rounder blasted an unbeaten 171 off 115 balls---the highest score by an Indian player, male or female, in a World Cup knockout match---and set the platform for a thrilling 36-run semi-final victory over Australia and helped her team reach the final where they lost to England.